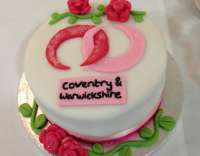 Our fabulous fundraisers mean the world to us. You are vital in helping us provide information and support to women with endometriosis. We receive minimal funding for the work we do and are financed almost entirely through our fundraisers, donations and annual membership subscriptions. 1 in 10 women in the UK has endometriosis, so that's a lot of women that we need to reach. The more money you raise, the more women we help, so every penny really does make a difference. 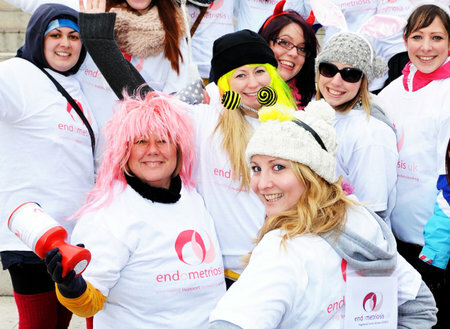 Find out how you can join Team Endo UK and help make a difference to women in the UK living with endometriosis. There is no limit to what you can do to raise funds for Endometriosis UK and we are on hand to support and guide you all the way. Want to join team Endo UK? 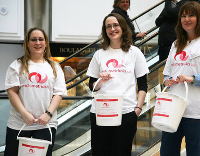 Find out how you can raise money for Endometriosis UK. Read more. Let us know about your event and how you're fundraising for Endometriosis UK. Read more. 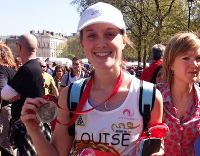 Meet some of our fabulous fundraisers and be inspired by their stories. Read more. Do your own thing and raise money for Endometriosis UK. Read more.